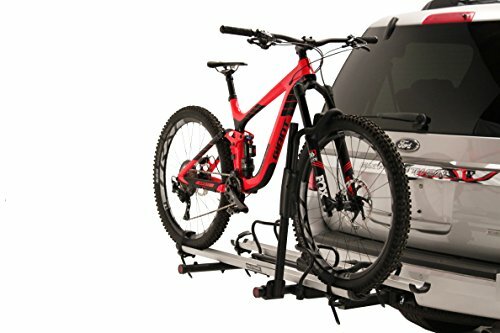 Hitch mount bike rack style is one of the most versatile, promotes a variety of styles and can carry up to 5 bikes at once. Ideal for families, for those who ride often, weekend trips. 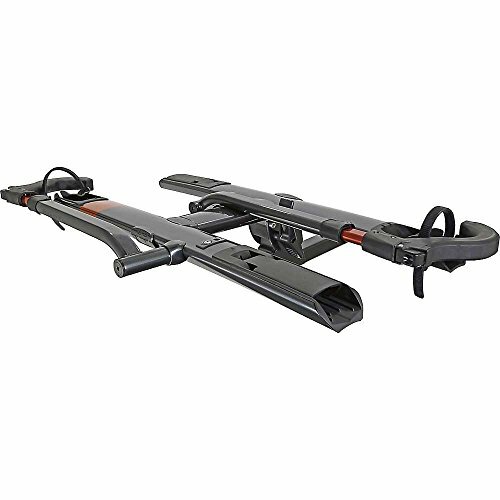 Hitch rack for SUV can carry road and mountain bikes, carbon fiber frames, suspension or children’s bikes, non-traditional bikes like tandem, recumbent, electric, fat or trikes bikes. Comes in two styles: platform (tray-style) which hold bikes by their wheels and hanging (arm-support) by hanging from their top tubes. 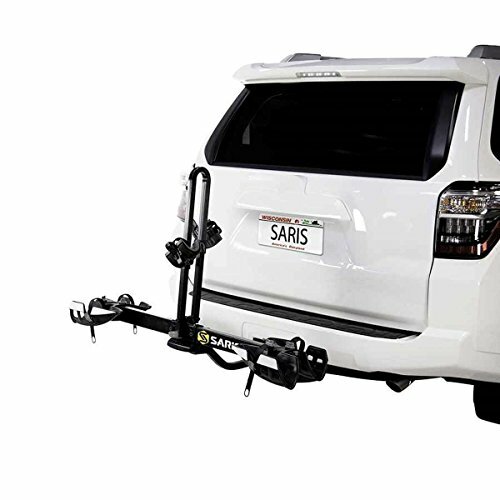 Most SUVs or vehicles equipped with a hitch receiver accept a hitch mount. 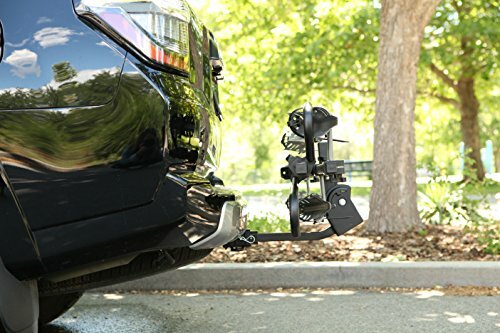 If the hitch receiver is missing, it can be installed afterward. Hitches are divided into classes, from Class I (fit any vehicle and tow up to 2,000 lbs) to Class V (fit only heavy-duty vehicles and tow up to 18,000 lbs) according to towing capacity. Class I hitches (1.25-inch openings) are designed for most small SUVs and cars. Class III hitches (2-inch openings) are found on truck-based SUVs. 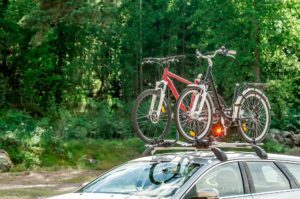 Depending on the number of bicycles you will be transporting, you should know that if you will carry more than 2 bikes, you need a Class III hitch, so 2-inch receiver. 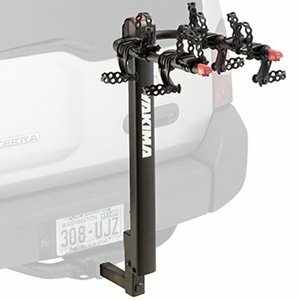 Yakima RidgeBack is compatible with 1.25″ and 2″ hitch receiver, comes fully assembled, tilts and fold down if needed and has a steel construction. 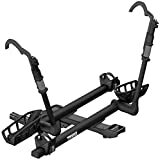 The Allen Deluxe 4-bike is a best seller hanging bike rack. The perfect choice for the infrequent user as although it is cheap, it lacks on security. 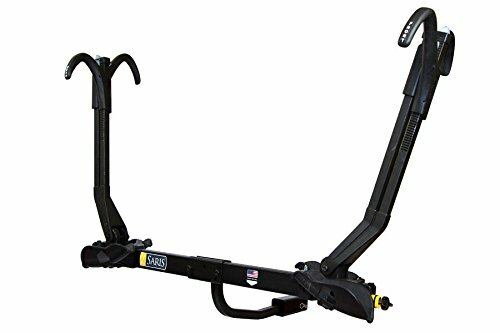 Swagman XTC hitch tray bike rack for SUV fits 1.25″ and 2″ receiver hitch can carry 2 bikes while the max load capacity is 35lbs per bike. Soft grip arms hold the bike in place. 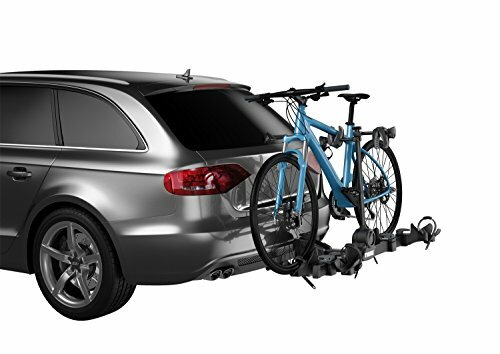 Considered best hitch mount bike racks, these platform carriers will adapt to almost any bike or vehicle, will not damage bicycles and you will safely arrive at the destination. 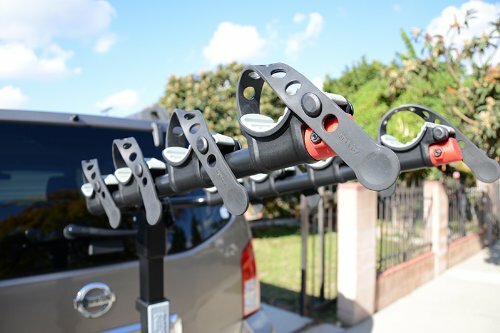 The design is amazing and the features existing on each one of them make them the most durable and reliable bicycle hitch racks. The price is high but you won’t be disappointed. Probably the best platform hitch bike rack. Holds nearly any bike and has some impressive features. 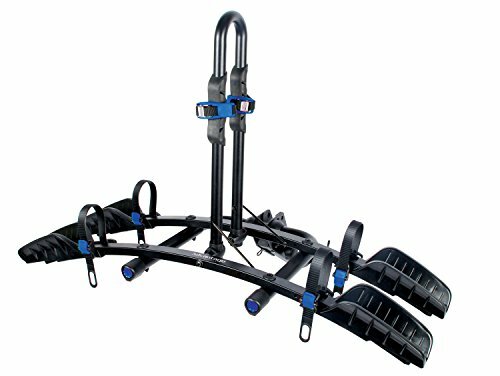 A re-designed pivot system with foot assist. 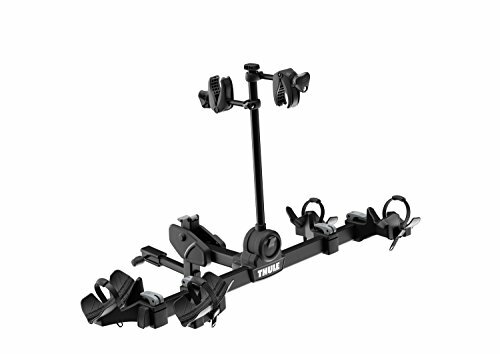 A great looking hitch rack whitc an amazing durability. 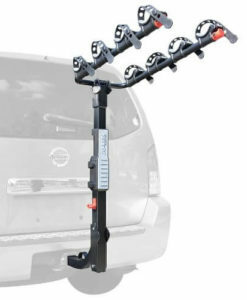 Heavy-duty paltform hitch bike rack that will not damage vehicle or bikes. A success story. 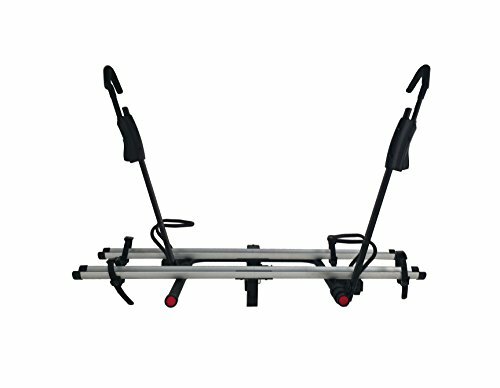 These tray hitch mount bike carriers support the weight of bicycles on a tray and secure them by clamping the front wheels. 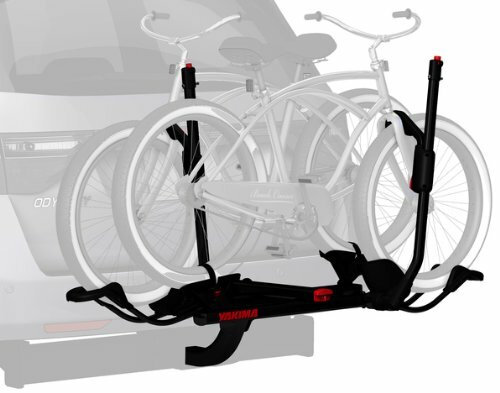 It can be extended to hold more bikes if needed and can carry almost any type of bike. The risk of bike-to-bike contact is minimized while the tray can be adjusted and eliminates sway issues. 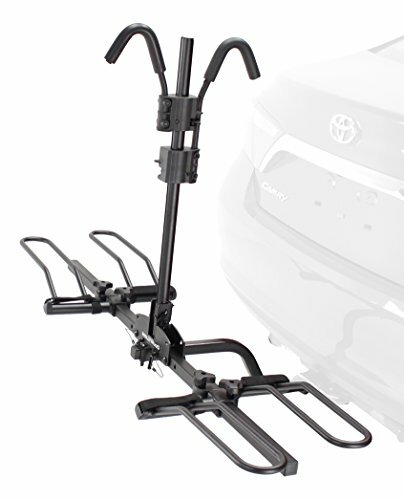 Hitch mount platform bike racks offer a higher weight limit than standard carriers. It can hold a large variety of bikes regardless of frame, suspension, size or wheel size. 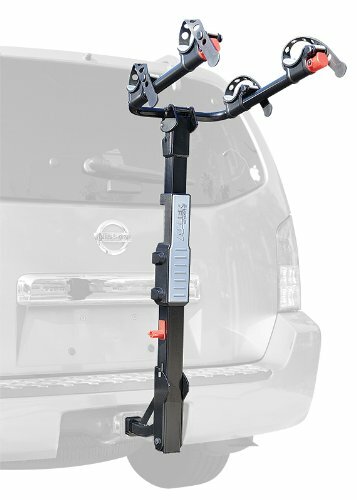 Fits 1.25-inch and 2-inch hitch receiver and makes the load and unload way easier compared with other styles. 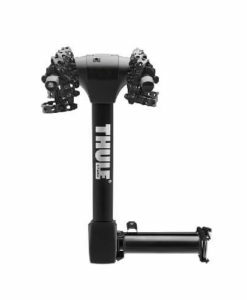 The best platform bike racks like Thule T2 Pro, Kuat NV 2.0, or Yakima HoldUp can accommodate road and mountain bikes, carbon fiber frames, suspension or fat bikes. 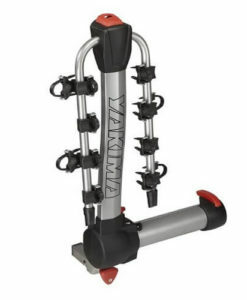 Tray style bike racks that clamp onto wheels won’t compress your bicycle’s suspension. 4 bike platform racks are becoming more popular and there are some good options on Amazon. There are two styles of platform: frame-clamp and wheel-clamp. Frame style clamps hook over your bicycle’s crossbar so this can be very stable and bikes do not sway. Wheel-style hold bicycles by their wheels so there is no contact frame. 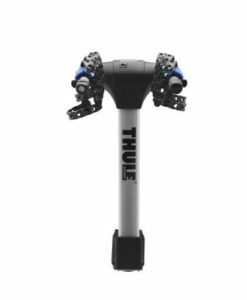 Great for suspension bikes. Hanging bike racks have low loading height and support bikes by their frames so the bicycle hangs from its top tube. The disadvantage here is that the frame is the primary point of attachment and the support arms might not fit bikes with unusual frame shapes or full suspension mountain bikes. The alternative is some bicycle hanging racks that hold bikes by their wheels so the contact with the frame is eliminated. You might consider an adapter bar for bikes with alternative frame. 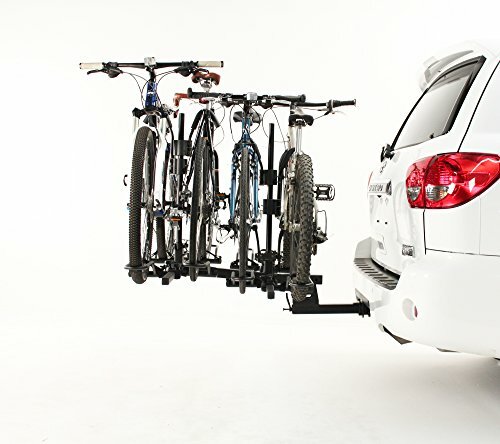 Hanging style can hold up to 5 bikes and weigh less than platform bike racks. 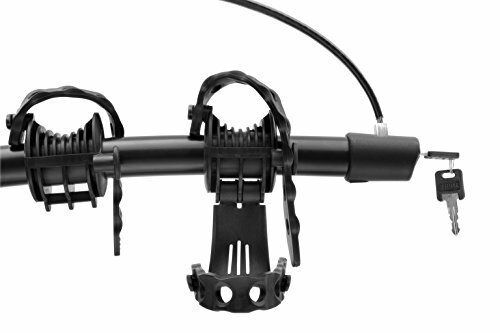 Fits 1.25-inch and 2-inch receiver hitch and require sway control to prevent bicycles from swaying. 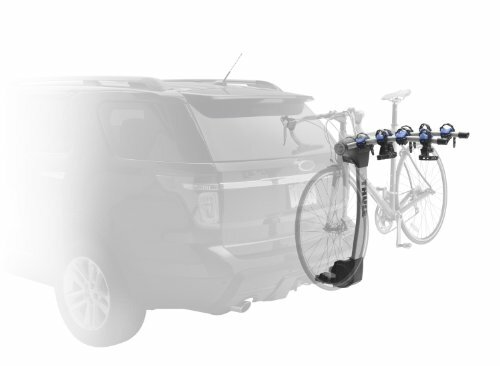 The best hanging bike racks like Thule Apex Swing or Yakima RidgeBack can accommodate mountain and road bikes, children’s bikes, carbon fiber and step-through frames, and full suspension bikes. 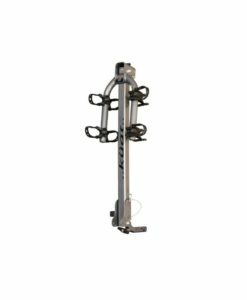 There are some styles of bicycle hanging racks like dual-arm, single-arm, wheel-mount (V-shaped racks), those that swing away, tilt, parallelogram style. Tilting bike racks are extremely useful in case you want clearance to the rear hatch. 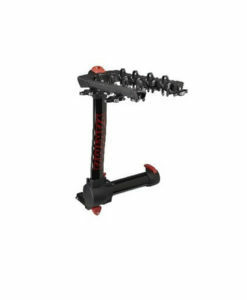 Basically, the rack tilts down at the base of the rack. Keep in mind that bikes must be removed before tilting. Both hanging and platform styles have this option. In case of tilting platform bike carriers, bicycles can remain on rack. 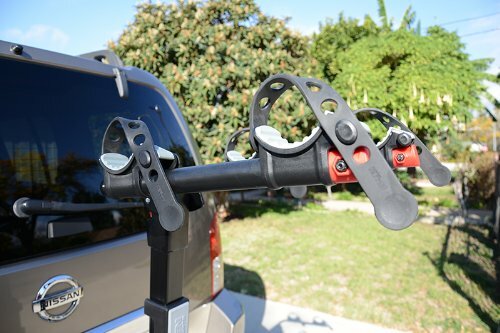 Swing away feature allow you to gain some access to the rear of your vehicle or SUV. 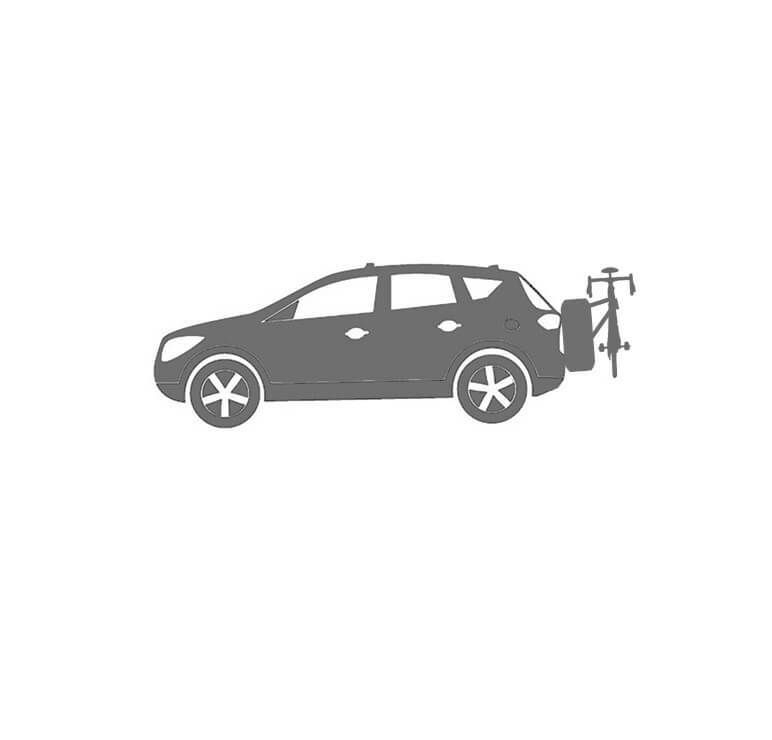 Basically the rack swings away from vehicle while bicycles can remain on the rack. This feature exists on hanging hitch bike rack style. 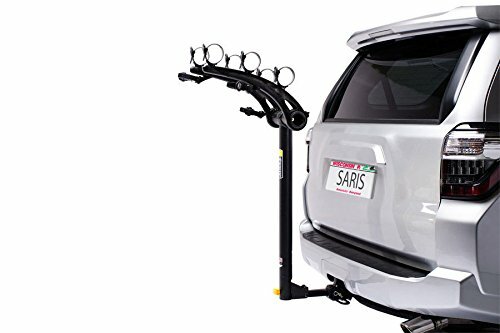 Shop the best hitch mount bike rack systems from Allen Sports, Yakima, Thule, Saris, Kuat or Swagman. 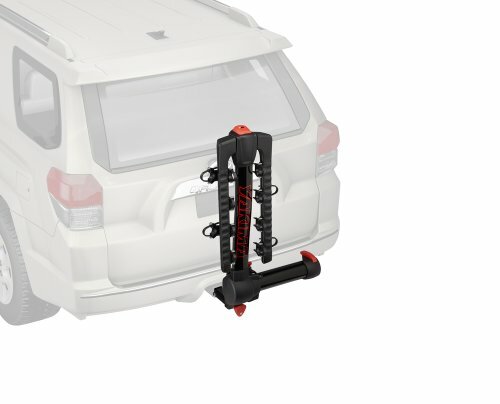 How to Choose the Best Hitch Mount Bike Rack for SUV? Which type of bike or bikes do I have? There could be children’s, women’s, road or mountain bikes and so on. How many bikes do I have? 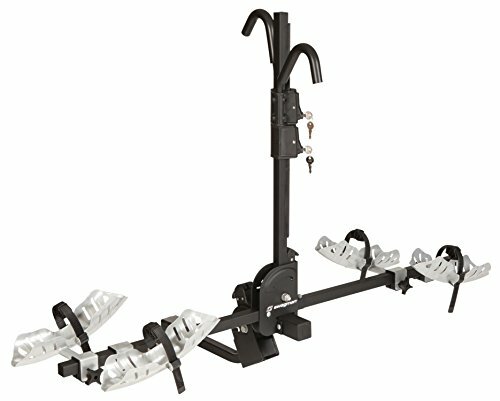 What are the different kinds of hitch mount bike racks? 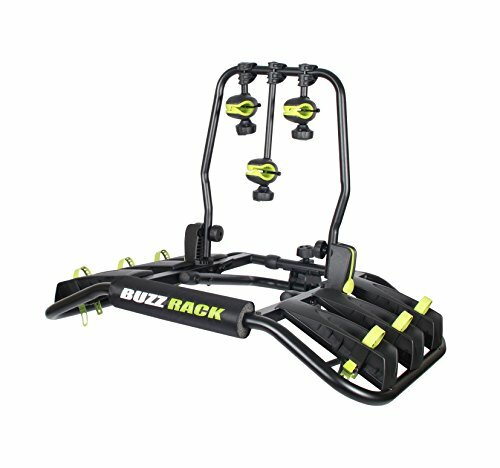 What are the top-rated racks? What are the best sellers? 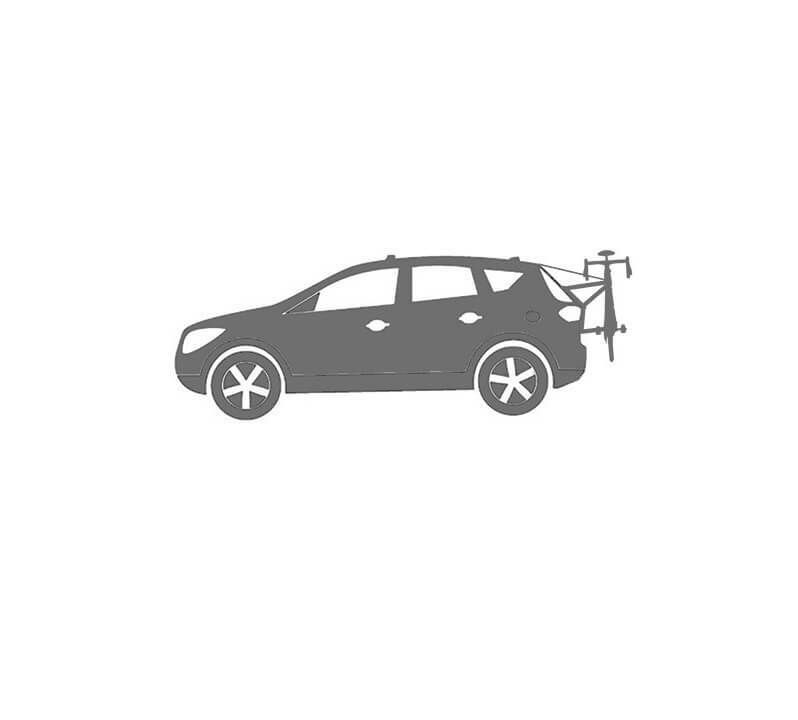 How can I determine which hitch bicycle racks will fit my vehicle? What are special features available? 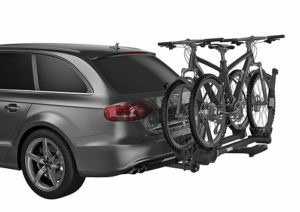 Hitch mount bike carriers come in a variety of styles and can accommodate a large variety of bikes. 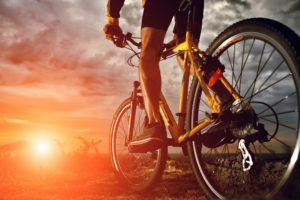 If you have bikes with carbon fiber frames you will find that platform hitch bike racks with wheel clamps and hanging bike racks are a good fit – it’s important to find one that makes no contact with bike frames. 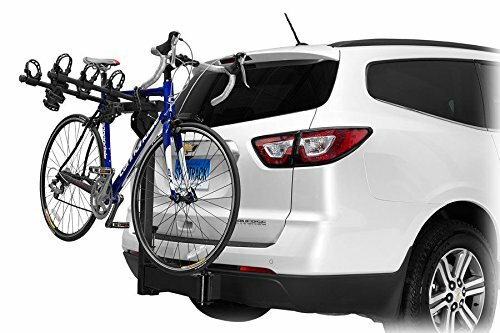 For bikes with suspension, both hanging and hitch tray bike racks may do the job. 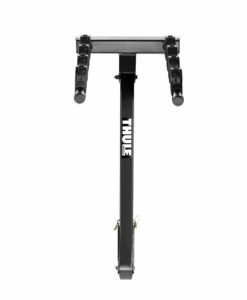 Mountain bikes are very popular and you will want to get a secure and stable platform bike carrier like Thule T2 Pro XT. For children’s bicycles, the hanging bike carriers are the best. You may want to consider an adapter bar and check its length to make sure it will fit your bike. 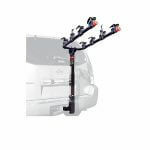 Hitch rack for SUV systems accommodate up to 5 bikes and could be extremely secure and stable. 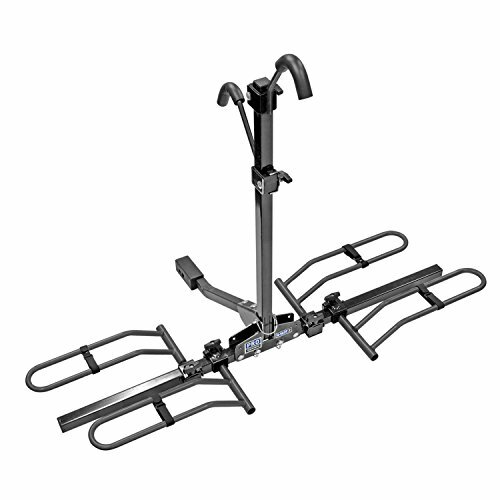 No matter you have 2 or 5 bicycles, buying a platform carrier should do the job easily. 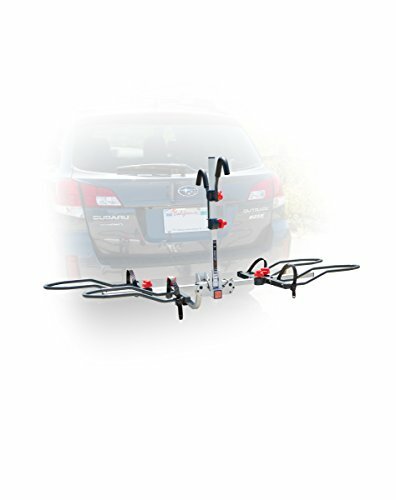 SUV hitch bike carriers fall into 2 major groups – Hanging and platform (tray-style) racks. Hanging style can be single-arm or dual-arm, weigh less than tray-style, cost less, hold up a max of 2-5 bicycles, fit 1.25 and 2-inch hitches and makes frame contact. 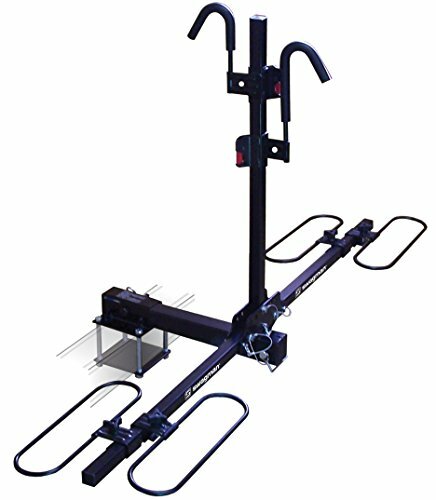 Platform hitch bike racks can be frame-clamp or wheel-clamp, hold up a max of 2-4 bikes, fit both 1.25 and 2-inch hitches, makes the load and unload easier, hold a large variety of bike styles, are secure and stable, and make minimal contact with frames. 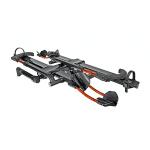 Kuat NV 2.0, Thule Pro XT and Kuat Sherpa 2 are one of the best hitch mount bike racks in 2018. 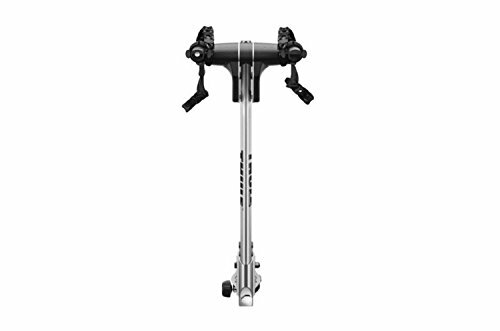 They have lots of special features available, are secure and stable and can accomodate any of your bike style. 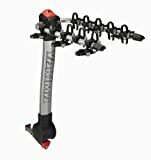 If you are looking for a cheaper solution, then Yakima Ridgeback, Allen Sports Deluxe and Swagman XTC will do the job. 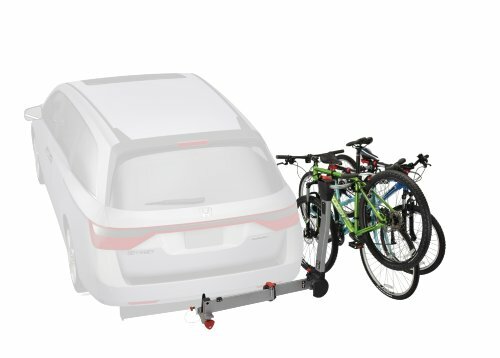 It can carry up to 5 bikes, accomodates a large variety of bikes, the most secure and stable, easy loading/unloading, rear access (swing and tilting options), does not increase the height of vehicle, keeps the roof rack free for cargo. 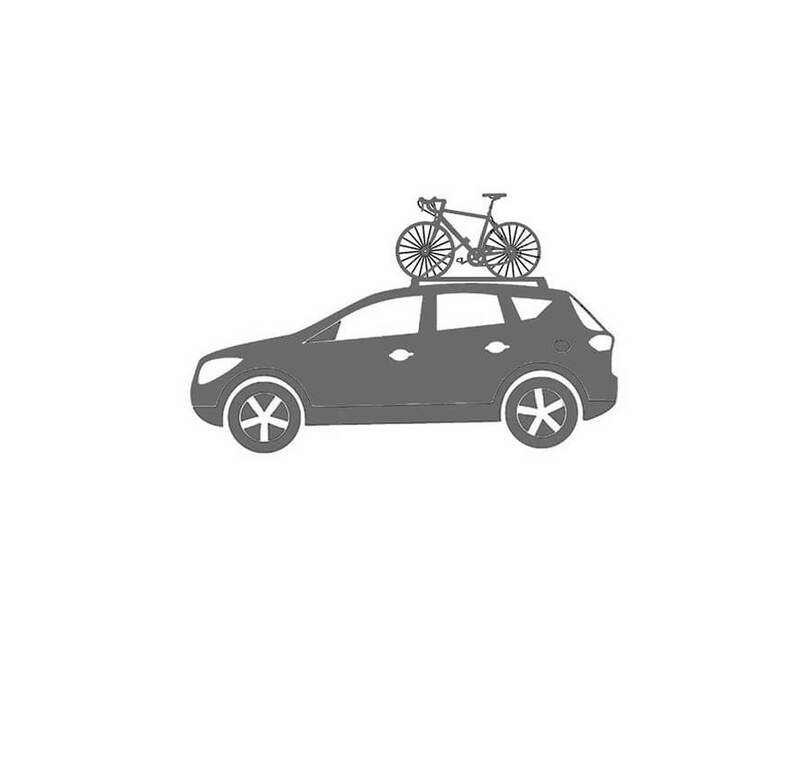 Increased vehicle length, trunk access may be blocked, some bikes may require adaptors, platform-style is expensive. 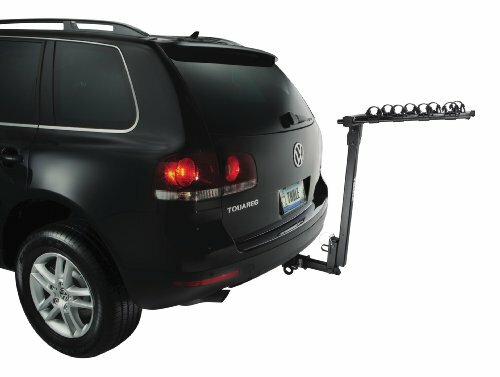 Tiltable or swing-away racks for easy access to the trunk. Choose racks for maximum security and ease of use. Can accomodate any bike style including tandem, recumbent, fat or electric bikes.